.......53 Buddhas and Me .................My Life Adventures.....: "AFL Footy"
I am sitting here watching my football team St Kilda (Saints) who are on top of the AFL ladder playing Geelong "Cats" who are 2nd on the ladder and I am nearly having a heart attack. At the moment the Saints are 24 points in front but anything could happen in the next hour and a half................. Yeeeeeaaaaahhhhhhh it's finished and the Saints got up by 6 points. As I thought I nearly had a heart attack, it was such an exciting game. It was actually a great game of footy to watch. 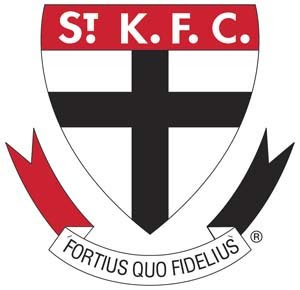 I would love the Saints to win the Grand Final this year not only because I go for them but so does my "Dear Old Dad". We are not sure how many more years we will have him and I would love his team to win before he leaves us. Sorry to my non Aussie readers - you don't know what I am talking about - us Aussie footy followers are a bit crazy. It's wonderful to find someone so enthusiastic, Davine! 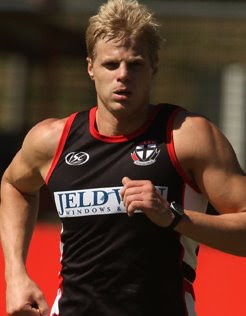 You make up for my pitiful ignorance of AFL. LOL.